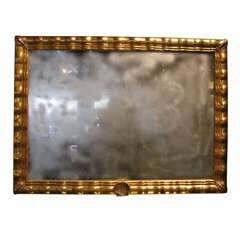 Late 18th century hand carved giltwood mirror. Italian. 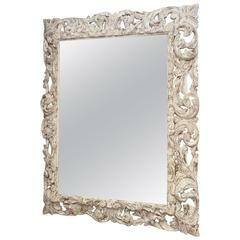 18th century French hand-carved mirror with gilding. Hand carved 22k water gilded wood mirror in a stylized undulating frame. Decorated with a gilded white gold shell at the center bottom and corner accents. 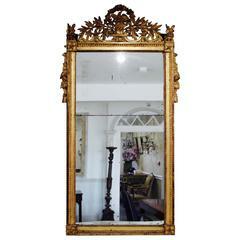 19th century handcarved gilt wood mirror. Late 17th century Italian, hand-carved table with drawers. 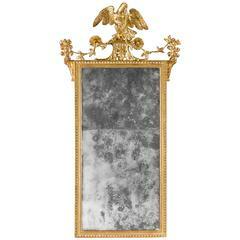 A late 18th century giltwood and carved mirror with an eagle or bird motif. 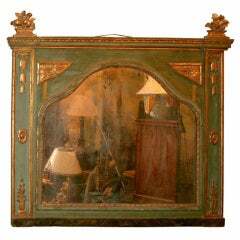 Spectacular carved wood Italian mirror with painted gilt decoration, Original glass, great overmantle mirror. The top with paired birds and foliate sprays, the upper corners with floral swags, original gilding and mercury plates. 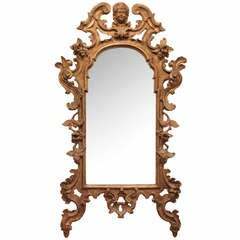 This is a beautiful 18th century Italian gilt carved wood with distressed mirror. This Italian gilt carved mirror has a flower motif with putti in the top centre. 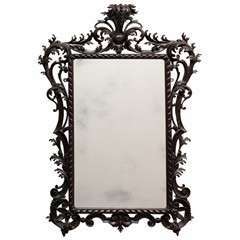 This is an Italian Rococo wood carved mirror made in the 18th century with distressed mirror. The mirror insert at the top could be the original mirror.